Enter to win a Myrtle Beach Marathon entry! 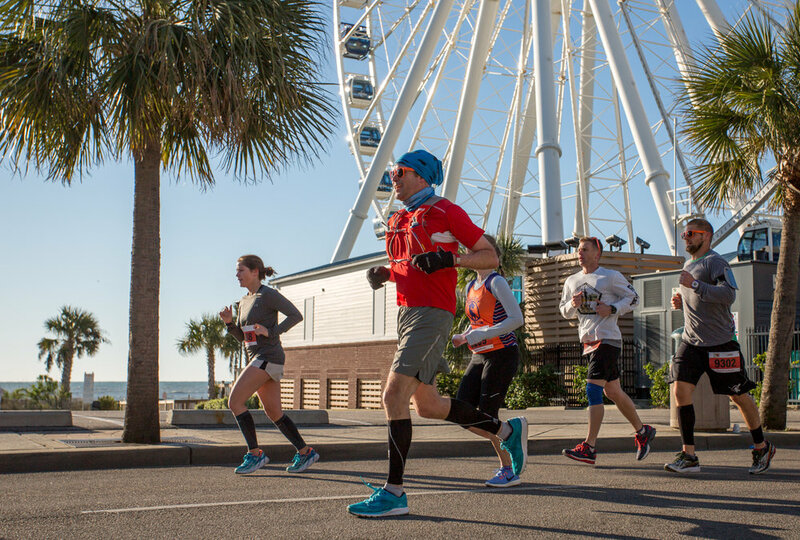 The Myrtle Beach Marathon is the perfect event to kick off your spring race season. Average temperatures in Myrtle Beach on race day are 40 degrees at the start and 62 degrees for the high temperature. The weather delivers spectacular racing conditions as well as comfortable conditions for spectators and families. As part of this week's #RunChat you could win one of two Myrtle Beach Marathon (or half, or 5K) entries! First, make sure your schedule is open for Saturday, March 3. Then simply retweet the tweet below by 7:55 p.m. ET Sunday AND answer at least one question during the chat to be entered. Two winners will be selected at random and answered in the final 5 minutes of Sunday's chat.